A moon garden is a spot where we can watch as these spirits come to life in our own little corner of the world. Spring, summer, fall … those are the seasons where the sounds of the night replace the silence of winter. The crickets, the frogs, the coyotes and if one is so lucky, the wolves. The night birds’ songs to me are more melodious than those of the day. Even the birds who sing to welcome the coming dawn, have a lilt to their voices that you can’t hear in the noise of the day. And so it is with the spirits that move through plants, through flowers, through trees. 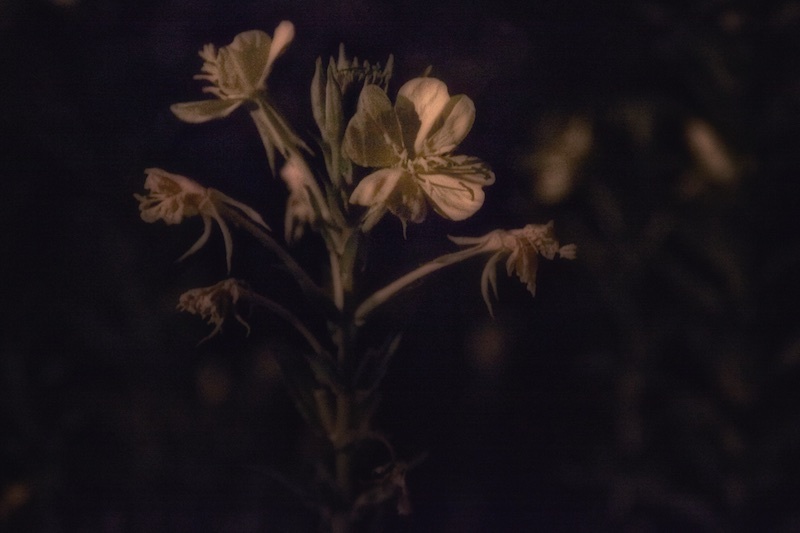 Just as the bats come out at sunset, certain plants unfurl their blooms and release their scents. We are home, in the place where we have tamed our fears. I remember our nights, I remember the magic of the stars shining in your eyes. I remember how my heart soared to see your smile light up the night. The moon is how I measure our time apart, how long it’s been since your love filled my arms. And so I began carving out a place for us in the night, a place where we could sit and wonder and watch, breathe in scents which only fill the air when the light of day goes astray. We begin with the obvious. How are we to see in the dark? 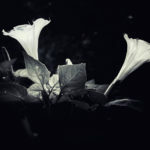 We do that with contrast, so we seek out white flowers to stand out against the night. We gravitate towards ground cover rich with fine white hairs which show as silver in the moonlight. Of all our senses, the one which is most completely possessed in a moon garden is our sense of smell. As vision grows weaker and less important, fragrance takes over and inundates us. Whether it’s wafting on the breeze in the spring twilight, or thick and heavy on a summer night, we breathe in the spirit of the plants. The daytime scent of Jasmine gives way to night scented Jessamine. 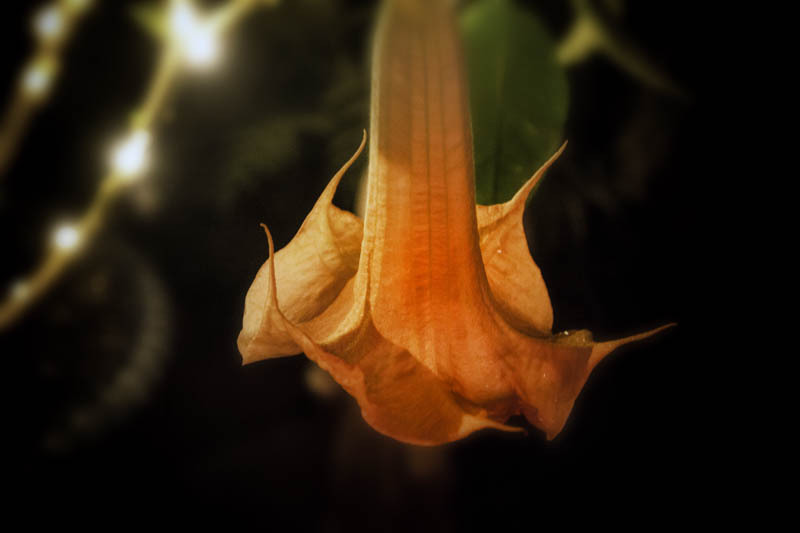 Moon Flowers and Brugmansia, along with its cousin Datura release their fragrance as their blooms unfurl in the twilight. 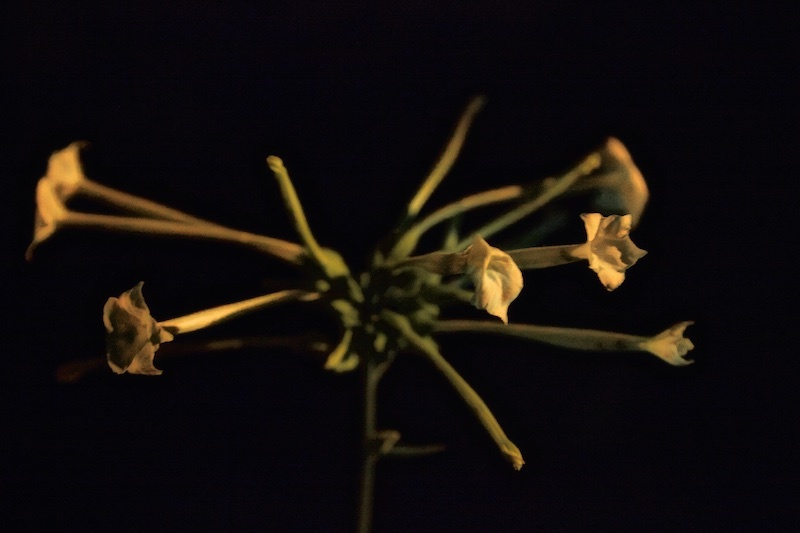 Nicotiana dangles its scent from flowers dangling from stalks six foot tall, shining white in the moonlight. Lilies grow more potent in the hot summer nights. 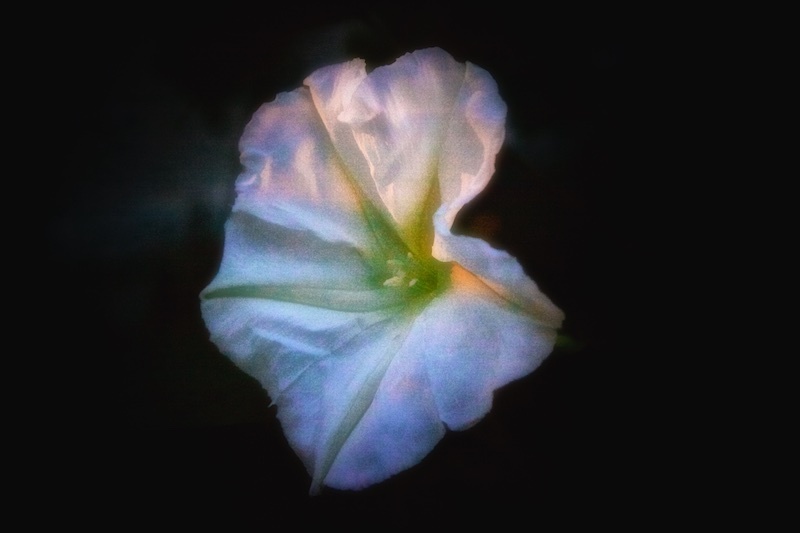 Evening Primrose welcomes the evening while Petunias release their scent in the dead of night. You and I are creatures of the senses … we need a place to close out the world, so we can turn inwards and to each other. And for now, I simply need a place to sit and miss you, a place where you would feel at home, where you would feel a sense of wonder. And so I build it in hopes that one day you will share those wonders with me, and as I sit here, deep in longing, deep in love, I hope that somehow the scent of our garden will waft around the world and somehow find you. So inspiring. Thanks for sharing your special place.